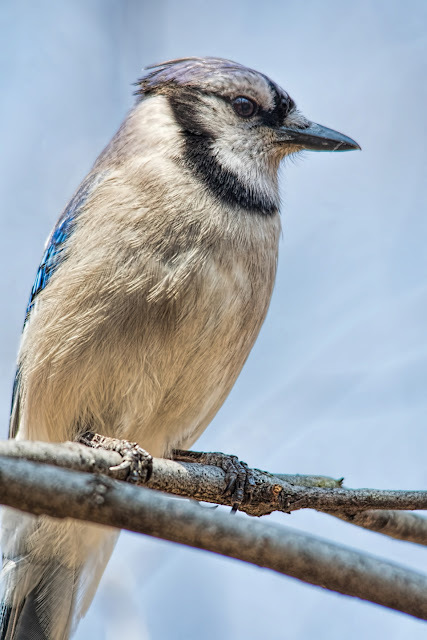 A blue jay in Central Park. The birds have been celebrating spring. A few weeks ago I saw two mourning doves mating on my fire escape. It was quick and surprisingly silent, considering how much loud moaning they're capable of.